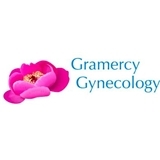 Gramercy Gynecology (New York) - Book Appointment Online! Jennifer Brennan, NP is knowledgeable and personable and I am grateful that I found her. Stephanie is beyond awesome....highly knowledgeable, sweet and gave me clear instructions on my next steps ( may be pregnant - only person in NYC I would go to and trust) . Dr Jha was amazing. I was nervous and a little worried, Dr Jha instantly put me at ease and made me comfortable. She was professional, compassionate, and caring. I can't recommend her enough! She is wonderful! I always feel well taken care of by Dr. Liu. I came in with a handful of questions which she took her time in answering. She made sure I understood all the information she was sharing with me, and when I jokingly told her I'd put together a list of questions, she made sure to go over it with me so I'd leave no stone unturned. We made sure I was clear on next steps before she sent me on my way. I look forward to seeing her again!